An Australian commando says he is ready to go to jail for his role in what he says was the unlawful execution of a prisoner of war in Afghanistan. Special forces sergeant Kevin Frost says he helped cover up the shooting of a captive and wants those involved — including himself — to face punishment. His claims come as the ABC reveals that a Supreme Court judge has begun hearing a broad range of allegations, including possible war crimes committed by Australian soldiers during the war in Afghanistan. New South Wales Justice Paul Brereton is helping the Inspector General of the Australian Defence Force (IGADF) as he conducts a secretive and sweeping inquiry into Australia’s elite troops, including possible breaches of the Geneva Convention. In April, the Chief of Army Lieutenant-General Angus Campbell confirmed a “range of unsubstantiated, third-person, hearsay stories” warranted “deeper”, “independent” consideration, and he had referred them to the IGADF. Little is known about the review, which is run independently to the army chain of command. Sergeant Frost will soon leave the military, but has told the ABC he played a role in covering up an alleged war crime in Afghanistan. “The particular incident that I was involved in resulted in the POW that I had captured actually being executed, murdered,” Sergeant Frost said. “I can’t remember if he cut the cuffs off first, or if he cut the cuffs of after he shot him. That’s the one point I can’t remember there ’cause I wasn’t looking. I didn’t want to look. The ABC has been unable to independently verify his battlefield claims. 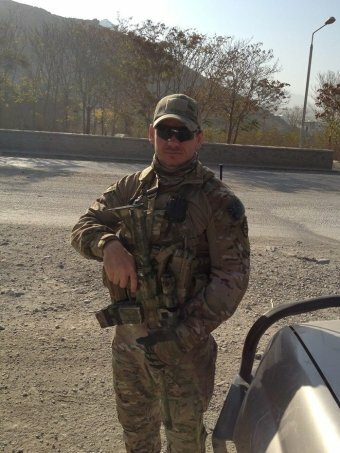 Sergeant Frost, who says he suffered drug addiction and PTSD from what he witnessed during three tours of Afghanistan, believes he should face further consequences for his role in covering up the alleged crime, including jail time. “I believe I should be punished with the full weight of the law, justly. I do not believe this should be brushed under the carpet,” he said. The Defence Department has confirmed the commando’s claims are being investigated. “The allegations are the subject of a IGADF inquiry,” Defence said in a statement. The ABC also approached Justice Brereton to comment on his role in helping the IGADF, and received a response from Defence. “Inspector General Australian Defence Force does not comment on ongoing inquiries. Future contact on all Defence matters should be directed to Defence,” the department advised. Defence would not comment on the scope of its inquiry, or how many incidents it was examining, but Sergeant Frost said he believed there would be similar stories and that they should now finally come to light. “I believe there would be many. And I’m hoping what I’m doing now will be a catalyst for these other people to come forward,” he said. Kevin Frost, a special forces sergeant in the Australian Army, has done something unusual. He wishes, even demands, to be tried for his role behind the summary execution of an Afghan prisoner in his captivity during a tour of the country. From Frost came a statement to an inquiry digging through allegations of war crimes by Australian troops that took place after the invasion of Afghanistan in 2001. According to Frost, the incident took place on one of three tours of the beleaguered country with the ADF, though details were sketchy as to where, and when, it took place. His missions were typical, operating in conditions of killing or capturing Taliban targets. In the blood lust and fury, there were bound to be casualties, notably against civilians. The fundamental problem in this approach remains its often unreliable foundation: that of suitable intelligence. “The intelligence we received,” claimed Corporal Geoff Evans, “was of varying quality. Sometimes it was very, very good, and other times it felt like they were throwing a dart at a map.” All the travails, in fact, of guerrilla war and insurgency. Battle field conditions, and the search for the unruly and violent on the ground as convenient scapegoats of armchair ignorance, remain perennial themes. Controlling what happens in that field is, at best, an overly confident assertion in the face of adversity. Atrocity is axiomatic to the waging of war. The righteous wars, pursued with misplaced moral outrage, tend to be the worst. The post-September 11, 2001 conflicts suffer from a brutalised mix of humanitarianism and vengeance, one that has been unsparing to Australia’s soldiers, and their victims. Instead of putting a brake on enthusiastic deployments to distant, even irrelevant theatres of conflict, Australian governments continue to engage in blind, and damaging deployments. Where the Stars and Stripes go, the Southern Cross will follow. When that happens, there will be more Lance Corporal Daves and Sergeant Frosts. The first ever comprehensive statistics on defence force suicides show almost twice as many suicides among young ex-serving defence force personnel compared with the national rate. Figures from the Australian Institute of Health and Welfare (AIHW) show from 2001-2014 there were 292 defence force personnel who took their own lives, but that only includes personnel who joined from 2001. Ex-serving men aged 18-24 accounted for 23 suicides during that time – a rate that’s almost twice that of Australian men on average. The Veterans’ Affairs Minister, Dan Tehan, told parliament, “one suicide is one too many and the government is committed to addressing suicide in our community”. He said that a federal government offer of free and uncapped treatment for depression, anxiety, alcohol abuse and post-traumatic stress disorder has been taken up by more than 1,000 current and former defence force personnel in just three months. Veteran support groups like the Defence Force Welfare Association believe mental health is the biggest problem for serving men and women when they come home. He believes the number of suicides is much higher than figures suggest because many cases are not reported. “People do not want to admit that a member of their family or one of their mates has committed suicide. It’s not something that people want to talk about,” he said. The release of the AIHW suicide statistics comes on the same day the federal government handed down a report into Australia’s longest ever military engagement. The ‘Afghanistan: Lessons from Australia’s Whole-of-Government Mission’ was produced by the Australian Civil Military Centre. Military Advisor, Jim Burns, told reporters in Canberra, “what worked and perhaps what we could do better in, is extremely important as we look forward into the future where we may be involved in similar events”. The report makes 17 recommendations, including that government agencies beyond defence need to be closely involved in future missions from the outset. In Afghanistan, they weren’t until several years in. “They aren’t just military conflicts. They require a much broader contribution whether it be how we involve the AFP, how we involve our aid agencies, how we involve our trade officials,” Veterans’ Affairs Minister Dan Tehan told reporters. The most comprehensive picture of the incidence of suicide among defence personnel will be released on Wednesday, but mental health advocates are already calling for funding for better research. There were 41 Australian soldiers killed in the Afghanistan conflict and more than 260 were injured. The total cost was more than $7.5 billion over more than a decade. Peter Jennings, from the Australian Strategic Policy Institute, told SBS there are many lessons to be learned from the conflict. “If you commit military forces, then you better be prepared to play a long game,” he said. A Supreme Court judge is helping conduct a sweeping inquiry into allegations of war crimes committed by Australian soldiers in Afghanistan. It’s not your typical rehabilitation regime, but the Australia Defence Force has embraced a rehabilitation program using creative arts to bring ADF members out of their shells. Previous Previous post: Assange’s internet cut off!